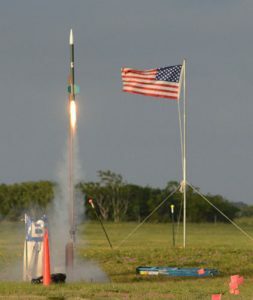 SystemsGo has set the dates for Rockets 2019, when students from high schools across New Mexico and Texas launch their rockets over one-mile high and beyond the speed of sound. Rockets launched all day. Schedules vary due to weather, student readiness, and other variables. The SystemsGo Aeroscience program started in Fredericksburg High School in 1996 under the direction of teacher Brett Williams. The innovative SystemsGo Studies science, technology, engineering, and mathematics (STEM) curriculum uses inquisitive learning based on a problem and project-based model to invoke and stimulate skills in design, development, testing, analysis, and innovation. Visit SystemsGo.org for information, directions, and access to sites. All launches are open to the public and free. However, all attendees must sign a waiver for access to the site upon arrival!